Top ranking Daily Bible Apps for your Android, iPhone, iPad or Kindle Fire. 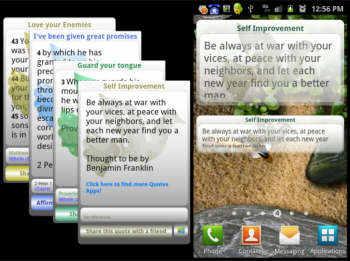 Refreshing and inspiring verses brought right to your phone's notification area daily. Share these with friends via email, SMS, Facebook, Twitter, Google+ and more! Other titles include Dashboard Assist and Sheriff Android. RobotiCode's top picks of Christian books, Bibles, gadgets and electronics. Get stuck into a good read, or choose something for a friend!